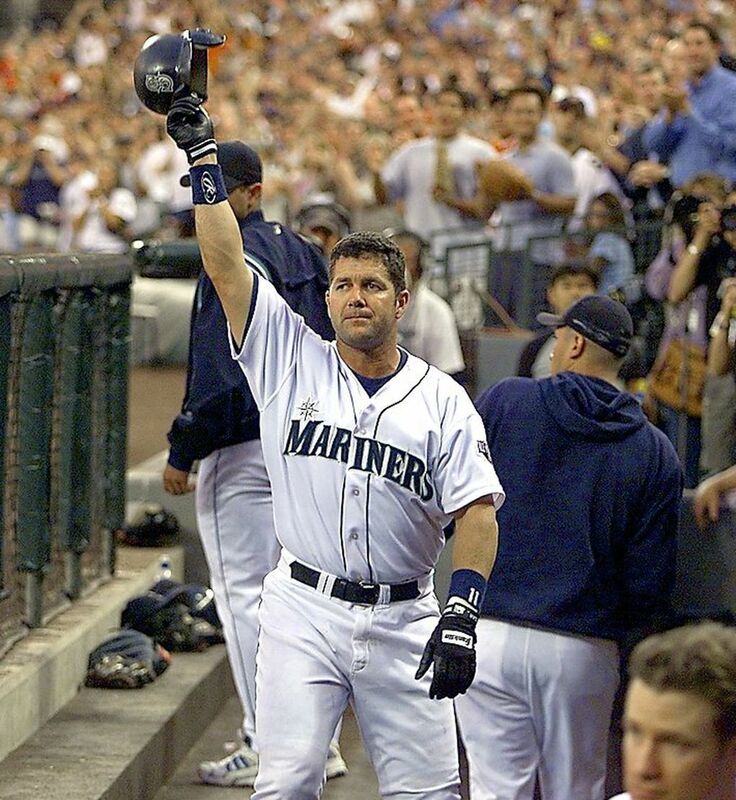 In his 10th and final year on the ballot, Edgar Martinez joined Ken Griffey Jr. as the second player to wear a Mariners cap in the Baseball Hall of Fame, completing his climb from 25.2 percent of the vote to easily eclipsing the 75 percent needed for election. 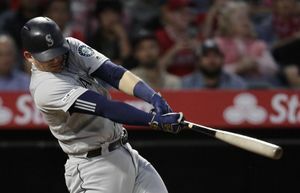 He’s been called many things: the best hitter and most beloved player to put on a Mariners uniform, the most productive designated hitter since the creation of the position and the hitter most top pitchers of the late 1990s and early 2000s didn’t want to see come to the plate with the game on the line. 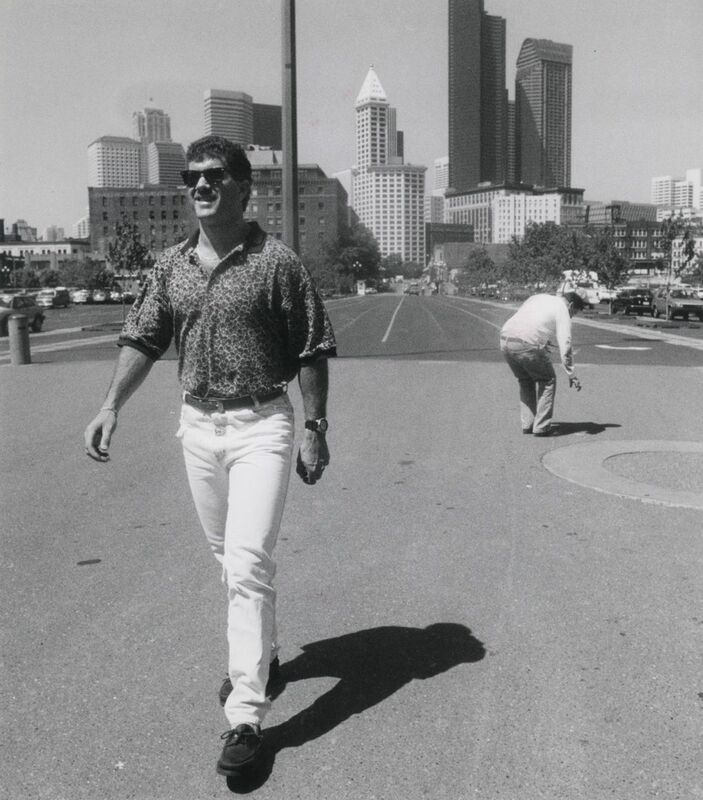 But now, you can call Edgar Martinez by the one thing every professional baseball player dreams of when he breaks into the big leagues — a Hall of Famer. 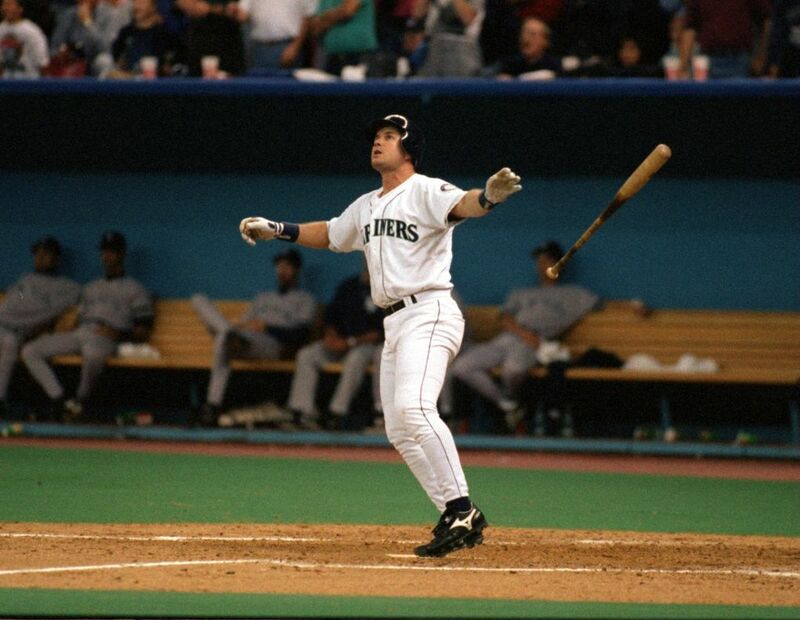 If you listen hard enough to the rustling air of the Puget Sound, you can almost hear the late Dave Niehaus, himself a Hall of Famer, faintly screaming “My Oh My!” in celebration. On Tuesday, Martinez was one of four players to receive baseball’s highest honor, induction into the Baseball Hall of Fame in Cooperstown, N.Y. He received the congratulatory call from Jack O’Connell, the longtime secretary of the Baseball Writers’ Association of America, at a Manhattan hotel with his family by his side. Martinez followed his daily routine and hit the gym to provide that distraction. It provided some level of relief. But just around 5:45 p.m. New York time, about a half hour before it was announced by Hall of Fame president Jeff Idelson on MLB Network, Martinez’s cellphone rang with O’Connell on the line. It was a call 10 years in the making. In his 10th and final year on the ballot, Martinez received 363 votes — 85.4 percent of the 425 ballots cast by eligible members of the Baseball Writers’ Association of America, easily eclipsing the 75 percent needed for induction. Martinez joined Yankees closer Mariano Rivera, Blue Jays and Phillies pitcher Roy Halladay and Orioles and Yankees pitcher Mike Mussina as the players chosen from the 2019 ballot of 35 eligible players. 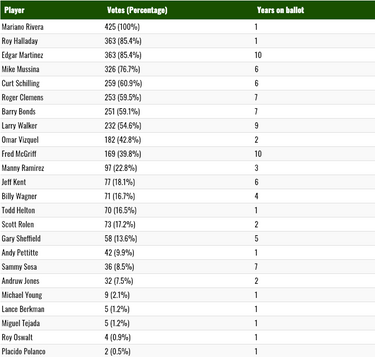 Rivera received 100 percent of the vote, a first for the Baseball Hall of Fame. Halladay, who died in an airplane crash in November 2017, received the same mark as Martinez at 85.4 percent, and Mussina received 76.7 percent. 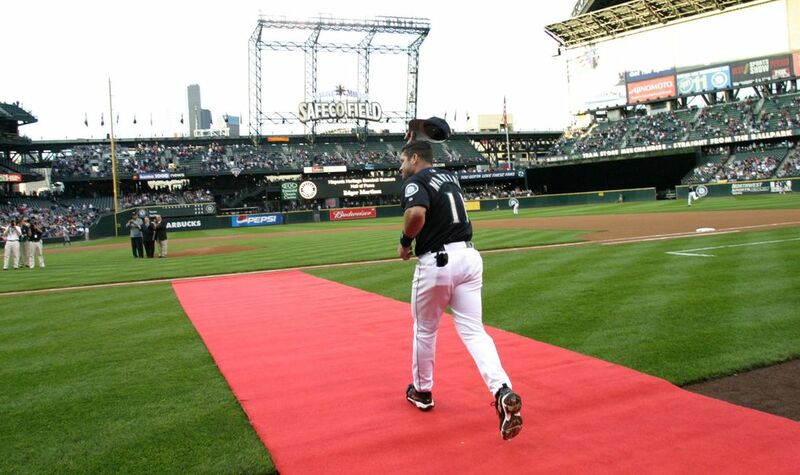 Thank you to the @Mariners and all the fans who have supported me through my career and HOF candidacy for the last ten years. I’m humbled by the overwhelming support and feel so blessed. Thank you! A quick search of Baseball Reference reveals that Martinez had a fair amount of success against his fellow Hall of Fame classmates. He hit .579 with a 1.705 on-base plus slugging percentage in 19 at-bats vs. Rivera, including two homers. Rivera was once asked by the New York Daily News about the toughest hitter he ever faced. His response was Martinez. To Martinez, his approach was simple. The four Hall of Fame selections will be added to a class that also features reliever Lee Smith and designated hitter/outfielder Harold Baines, who were chosen by the Modern Era Baseball Committee for the induction ceremony on July 21. It will be a return trip to Cooperstown for Martinez, who attended the induction of close friend and teammate Ken Griffey Jr. in 2016. 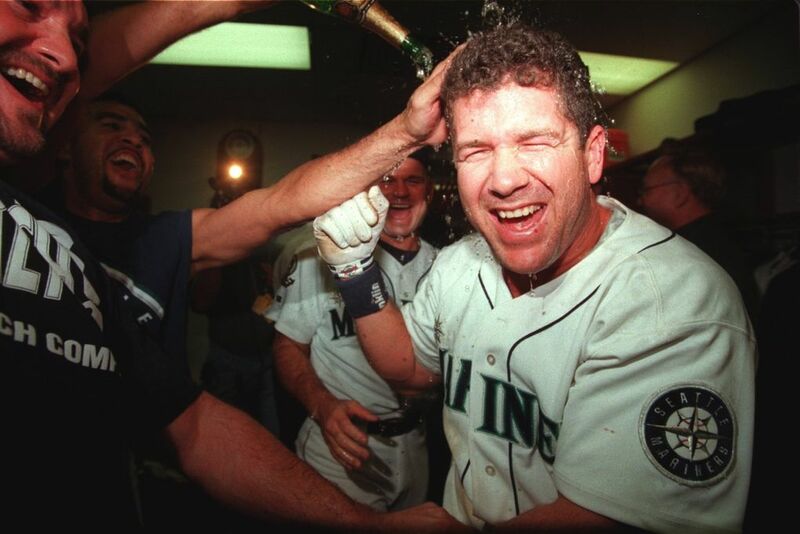 He will join Griffey and Randy Johnson — two of his teammates from some of the Mariners’ best seasons — in the Hall of Fame. He’ll join Griffey as the only other player with a Mariners cap on his plaque. 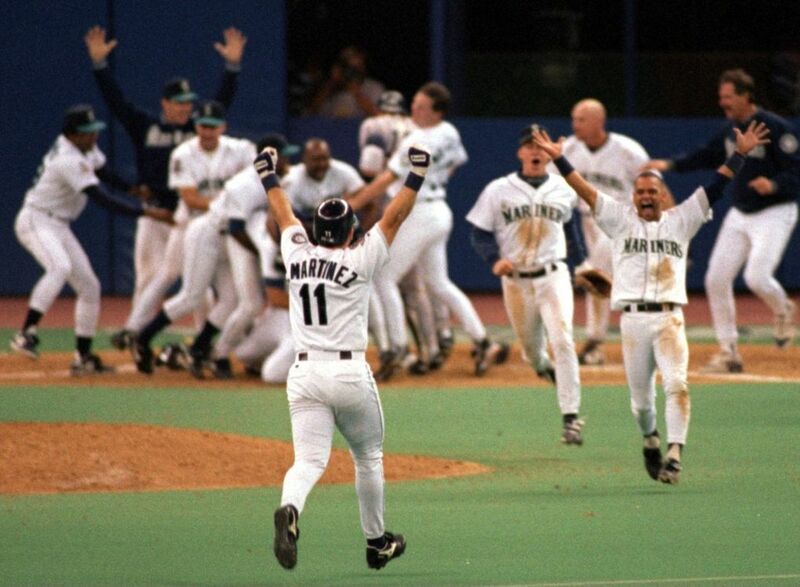 But while Griffey and Johnson eventually left the organization, Martinez remained — a foundational rock in the middle of the order. It made him beloved by a fan base and a city that recognized not only his immense skill and production on the field, but also his unassuming attitude and kind heart off the field. It’s been an unexpected and gradual rise in his up-and-down candidacy that started with a promising 36.2 percent in 2010 — his first year of eligibility — and hit rock bottom with 25.2 percent in 2014. However, a trend toward younger, more progressive voters in the BBWAA becoming eligible, the increased use of sabermetric analysis to validate his résumé and a growing understanding of Martinez’s contributions started a movement upward to 43.4 percent in 2016, 58.6 percent in 2017 and an agonizingly close 70.4 percent in 2018. But that steady trend upward finally pushed him over threshold in his final year of eligibility. “It really helped my candidacy and played a big part over the last few years,” he said of the new analytics. 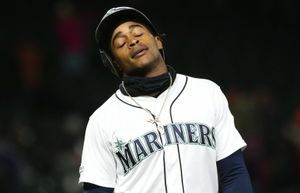 The Mariners’ massive social media blitz over the past few offseasons and retirement of Martinez’s number in August of 2017 also played a role in the process. Consistently humble and never one to seek the spotlight, Martinez always has avoided campaigning for himself or his accomplishments during this nine-year process. He even admitted to thinking his Hall of Fame chances were extinguished after the 2014 results. But much like his playing career in Seattle, the appreciation of his accomplishments from the outside world came later than it should have. Martinez hit .312 with a .418 on-base percentage and a .515 slugging percentage while amassing 1,219 runs, 2,247 hits, 514 doubles, 309 home runs, 1,261 RBI and 1,283 walks in 2,055 career games over 18 seasons — all in a Mariners uniform. 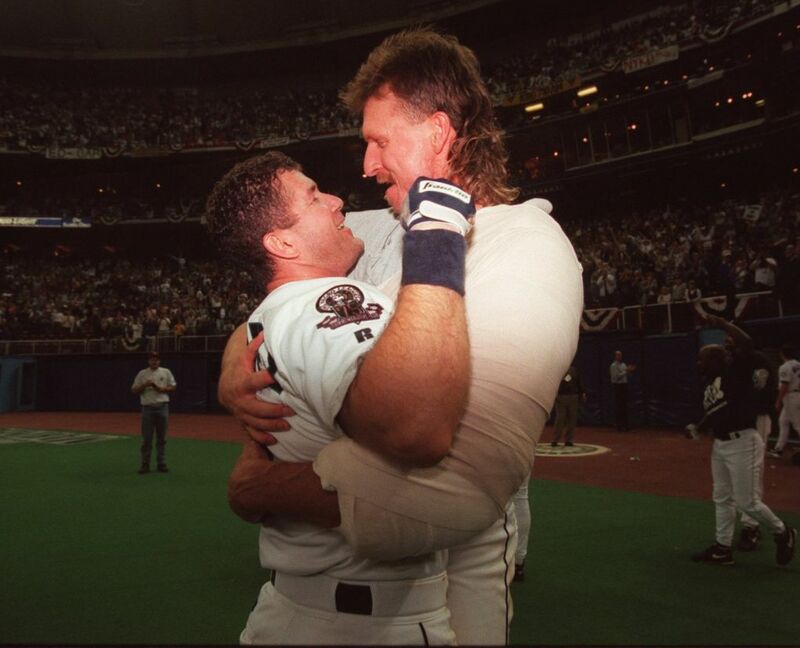 He is one of 14 players in MLB history to post a lifetime slash line (batting average, on-base percentage and slugging percentage) of at least .310/.410/.510 in at least 5,000 career plate appearances. Of the 13 other players to do so, nine are Hall of Famers — Ty Cobb, Jimmie Foxx, Lou Gehrig, Hank Greenberg, Rogers Hornsby, Stan Musial, Babe Ruth and Ted Williams. He becomes the 10th Hall of Famer of that group. And those numbers have put him in the Hall of Fame.